There have been various research to investigate if actually spices are capable of giving a boost to our health as humans. Results have been achieved which shows that some group of spices are capable of boosting our metabolism, and not just only our metabolism alone, but our overall health. Which means that adding some specific group of spices to our diet, have some health benefits to us. 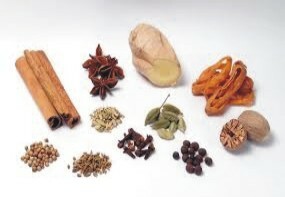 These group of spices are known as "thermogenic spices". Thermogenic spices simply means those spices that are naturally capable of increasing your metabolism, partly because they contain more nutrients. Below are 5 thermogenic spices you should consider adding to your diet so as to derive the health benefits that they possess. The cayenne pepper contains the active ingredients of capsaicin, which helps in generating extra body heat. You can add a spicy pinch of this spice to foods such as fish or roasted nuts. Ginger is a prominent dietary accompaniment, though many people does not realise this. Whether it is served alongside sushi or bought dried, the pungent flavour have been used for centuries to curb nausea and improve digestion. You can also enjoy a hot cup of ginger tea. Turmeric is simply a relative of ginger. It is a staple spice in most Indian cuisine just like curry. Turmeric have both anti-inflammatory and antioxidant benefits. It has also been found to benefit cancer patients, it alleviates depression and even help in preventing heart disease and age-related neurodegenerative disease. You can simply add turmeric to a roasted vegetable for a spicy touch and a boost of your metabolism. Cinnamon should be the most common spice in this list. It has been found to not only improve the taste of food, but also provides a whole lot of health benefits. Cinnamon is regarded as a superfood, and it has been used to treat so many ailments in ancient times. It is a beneficial source of many key nutrients such as manganese, iron and calcium. It helps in the relieving of pain and muscle stiffness, and it also reduces inflammation in blood vessels. You can simply sprinkle cinnamon into a hot coffee, onto popcorn, or on yogurt to reap its health benefits. Cumin which is commonly found in a bowl of chili, does not only have a powerful scent, but also a powerful ability in aiding digestion. Cumin is a tasty addition to taco seasonings, chili and soups. These are some of the thermogenic spices you can easily make use of. There is no easy answer to weight loss and improving of health, and there are so many safety concerns involved. So, before making the choice of adding any dietary supplement to your foods, using metabolism boosting drugs, or including any energy drinks to your diet, ensure to first of all consult with your primary health care provider.